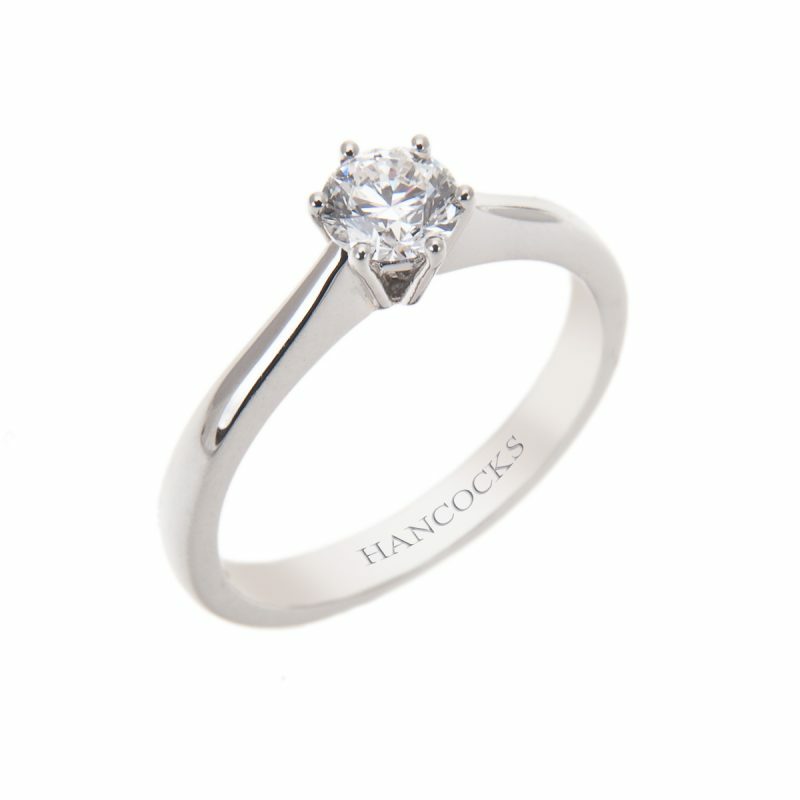 This impressive solitaire ring features a solitaire brilliant cut diamond held in a pristine platinum claw setting. 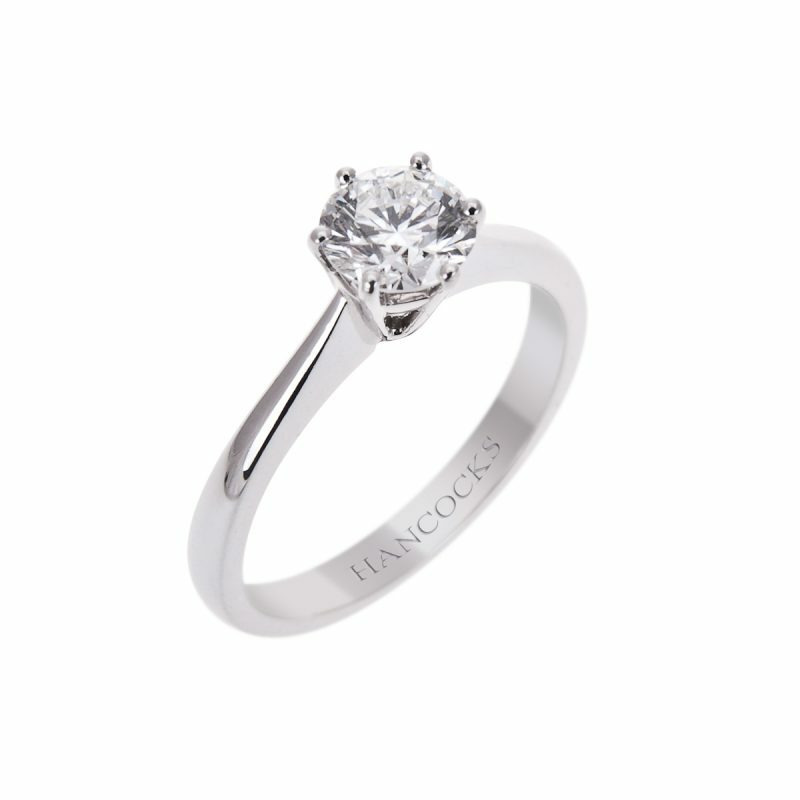 The handmade 6-claw setting enhances the round shape of the diamond whilst allowing the maximum passage of light. 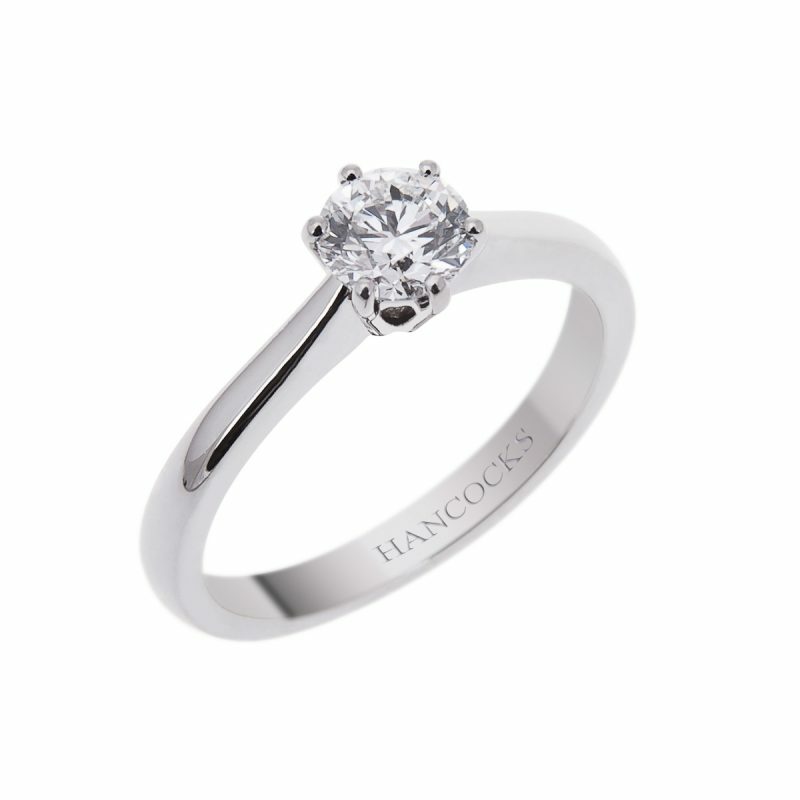 This style of setting allows any of our wedding bands to fit seamlessly. 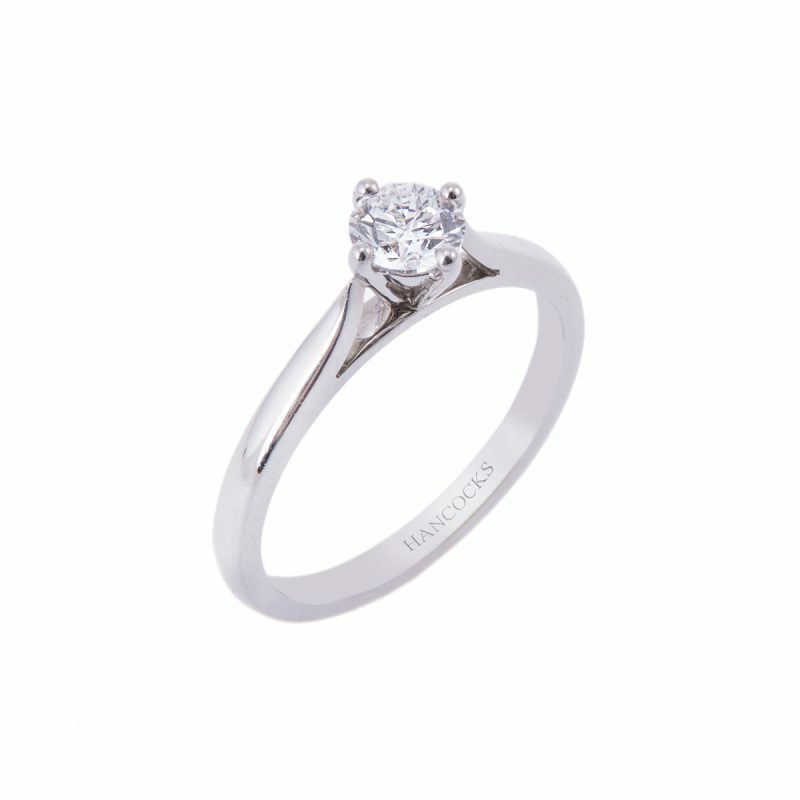 For a bachelor unsure of which style to choose, it would be hard to go wrong with this classic solitaire.